Why consider Alan's Factory Outlet when looking for a heavy-duty storage building? Cost is a good reason: We stand out from our competitors due to our affordable prices, but we don't scrimp on quality. When you choose us to provide your storage building, cost won't keep you from getting a high-quality structure. If you live in Virginia or West Virginia, we can deliver these sheds for free, so you'll save even more! 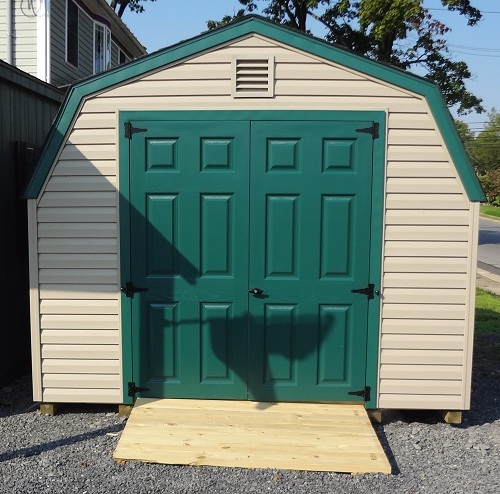 Weather-hardy sheds protect your tools and equipment, and Alan's Factory Outlet has no shortage of cheap vinyl storage sheds to save you money without compromising quality. 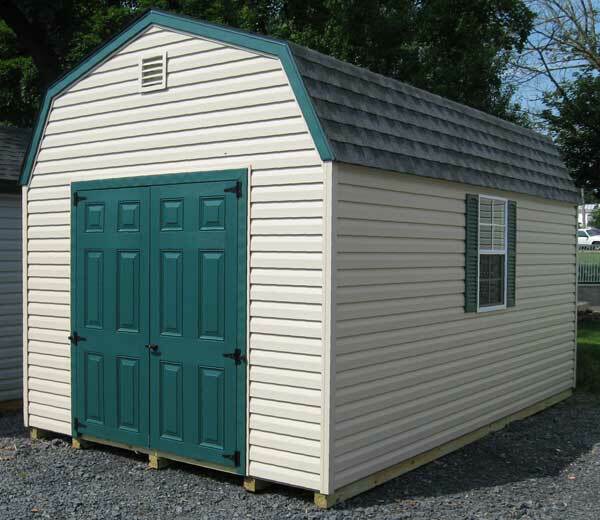 Our competitive storage shed prices make it easy to order without any worries. 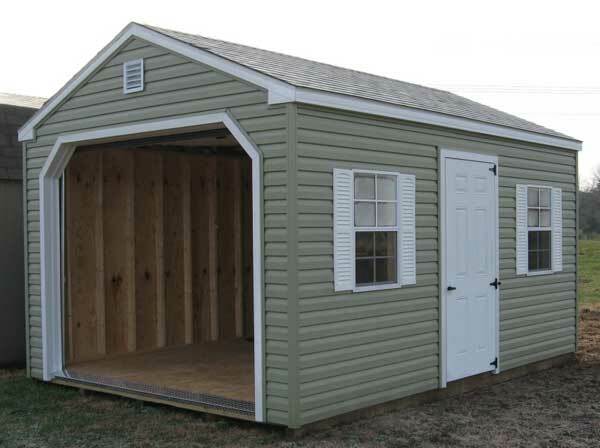 When considering shed options, there are a lot of factors to consider, including the cost to build a storage shed, the size needed for your property, the shape of the shed, the color you'd like, the purpose for the shed, and so on. When you buy from Alan's, you can save money, time, and energy, and you'll receive the best storage building available. A cheap vinyl storage shed from us might be low in cost but not in value! Our wood storage sheds and garages all include 25-year three-tab shingles and 4-by-4 pressure-treated foundation skids with 2-by-4 floor joists. Vinyl storage sheds and garages have 30-year architectural shingles with felt paper and 4-by-4 pressure-treated foundation skids with pressure-treated 2-by-4 floor joists factored into the low storage shed price. Shop with us to find a great shed cost and fantastic Amish-quality craftsmanship. For questions, call or use our online contact form. Let us help you build the sturdiest, safest shed! 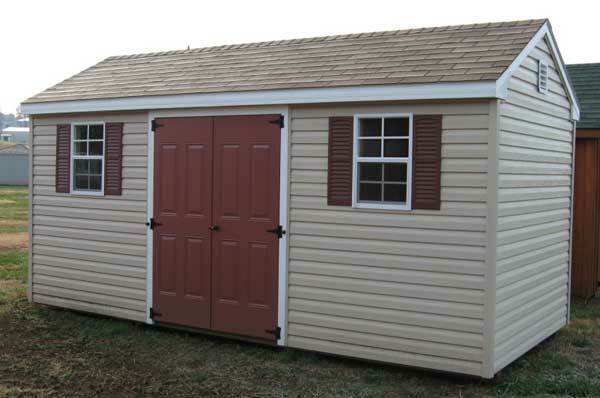 We only deliver these Amish-built vinyl storage sheds to two states Virginia and West Virginia. 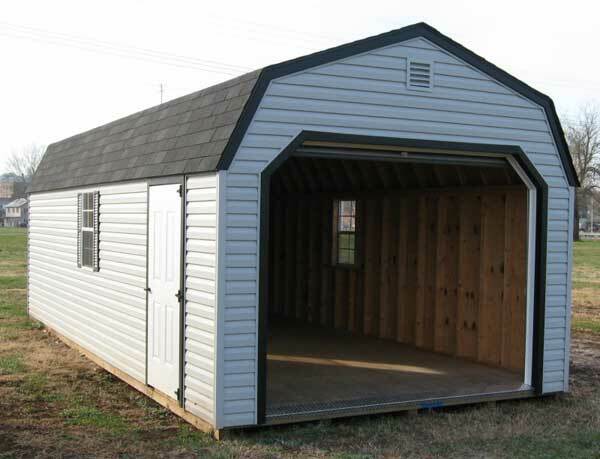 Our vinyl shed prices include free delivery to 30 counties in Virginia, including Arlington, Augusta, Caroline, Clarke, Culpeper, Fairfax, Fauquier, Frederick, Greene, King George, Loudoun, Madison, Orange, Page, Prince William, Rappahannock, Rockingham, Shenandoah, Spotsylvania, Stafford, and Warren counties. Wood sheds can be delivered for free to the following towns in Virginia: Staunton, Bowling Green, Berryville, Warrenton, Winchester, Standardsville, Lessburg, Luray, Manassas, Harrisonburg, Woodstock, Alexandria, Falls Church, Fredericksburg, Waynesboro, and Front Royal. We also have free delivery to eight counties in West Virginia. All vinyl shed prices are subject to change without notice. 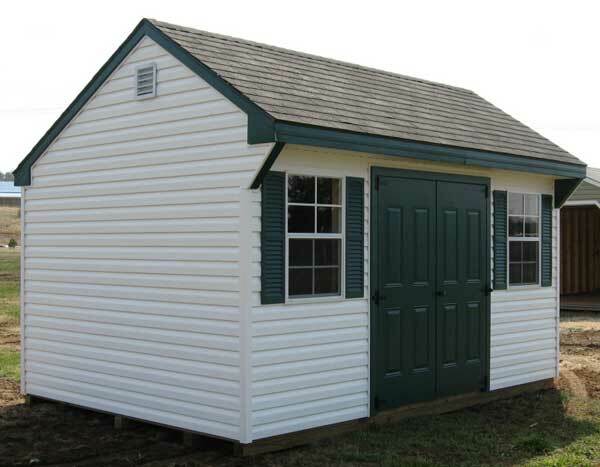 Check our online selection often for updates on the cost to build a storage shed from Alan's Factory Outlet.